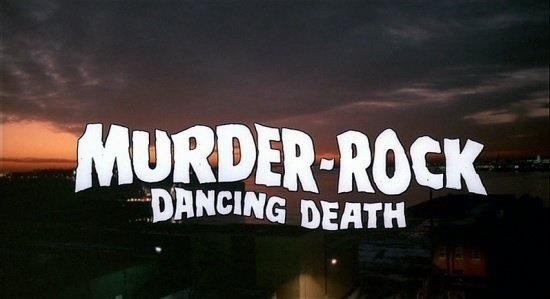 Released in 1984 Murder Rock also goes under such titles as Dancing Death and Slashdance and if only the film turned out as great as those titles this would be a winner. Murder Rock also goes under the rather odd title The Demon Is Loose. A lot of reviews while not overly negative aren’t very positive either and I really can’t defend the film from its detractors, but Murder Rock isn’t a horrible film and over the years I’ve come to enjoy it despite its flaws. At this time in Fulci’s career he was a splatter filmmaker and some say if not for the gore Fulci wasn’t very good, which is something I disagree with. Sure the best part of his splatter films was of course the gore obviously, but they also had a nice eerie feel and if you go back to such films as Don’t Torture a Duckling, which features very little gore is in my opinion his best film and Zombi 2 while noted for its gore is a film filled with suspense, tension and an eerie tone. There is a lot more to Lucio Fulci films than gore and it’s too bad more people don’t take notice. 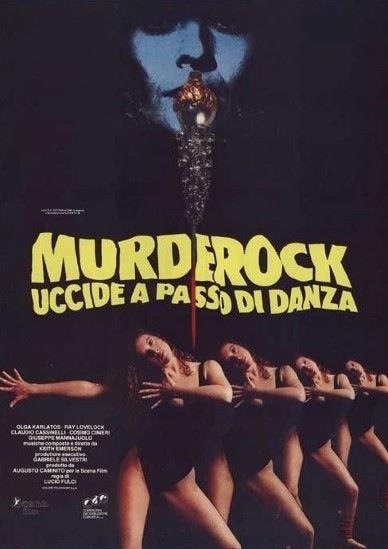 Murder Rock features none of the gore Fulci was known for at the time and the deaths scenes are quite simple as well. Sadly those who think Fulci is nothing more than a gore director Murder Rock won’t do much to change their minds, but it does however make for a decent mystery and if anything this film is sort of one of those middle of the road films since its not by any means great, but its not a bad movie either. As I’ve stated in other writings on Lucio Fulci after The New York Ripper in 1982 there was a major decline in his films and really the only film I hold in high regard after Ripper would be Cat in the Brain. The bulk of his films post 1982 are rather dire as films like Aenigma and Touch of Death are in my opinion really poor. I can tolerate Zombi 3 for the so bad it’s good vibe and the only other film I can tolerate would be this film Murder Rock. 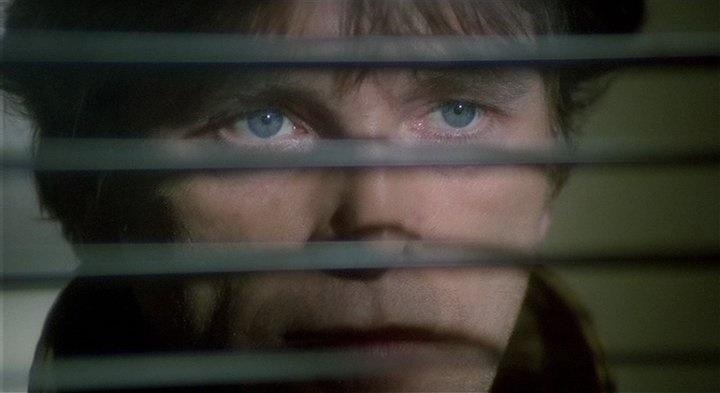 The one thing clear at least to me is Murder Rock is by a filmmaker whose career is about to hit the downside or I suppose already did hit the downside, but Fulci has enough tricks to just get by and make a film that while inferior to many of his past films is still a decent viewing. 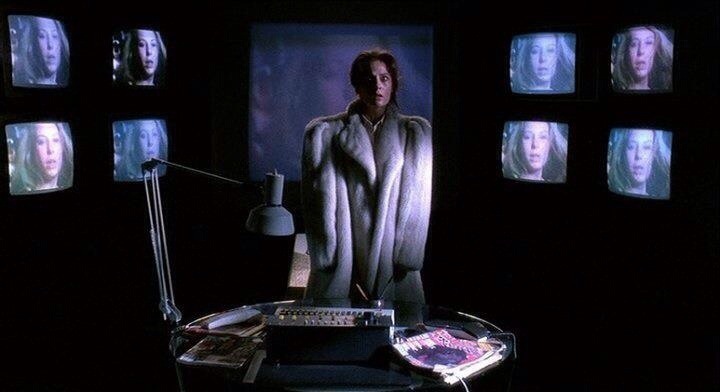 The plot of the film is your standard Giallo with girls being killed at a dance school in New York; Candice (Karlatos) decides to do her own investigation and ends up meeting George Webb (Lovelock) a washed up actor/model who seems to be hiding some kind of secret. The screenplay by Giafranco Clerici, Lucio Fulci, Roberto Gianviti & Vincenzo Mannino is light on plot and characters, but does serve for a decent mystery and while the identity of the killer isn’t exactly shocking it also isn’t obvious either. Characters are decent, but at the end of the day rather faceless. 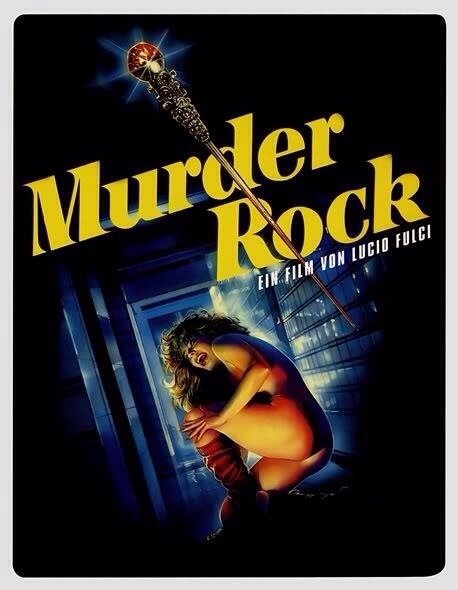 Murder Rock never really strays from the formula found in these kind of films and is very much written by the book. However with that said the script isn’t a failure it just never really rises about average, but Italian horror films at least in the 80s weren’t known for having strong scripts so it really doesn’t hurt the film too much. As director Lucio Fulci delivers a fairly well made film, but just lacks any energy and it seems Fulci was just sort of going through the motions. That’s not to say there was no effort, but it seems as if even Fulci was a bit bored or perhaps it was just a filmmaker running out of ideas on how to create suspense and tension. The opening death was strong, but after that Murder Rock does lack energy and excitement and the pacing can be a little sluggish in spots, but I was never really bored either. 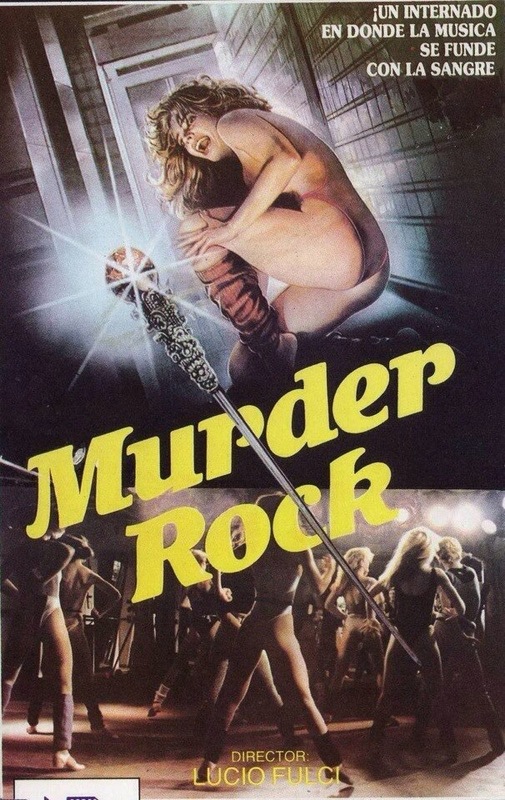 Murder Rock features none of the gore and graphic death scenes Fulci was known for at the time and this is a film that probably could have used some. The death scenes are a bit on the dull side perhaps that’s more due to some of the crazy death scenes of past Fulci films, but regardless perhaps the deaths didn’t need to be overly gory, but they do lack excitement. 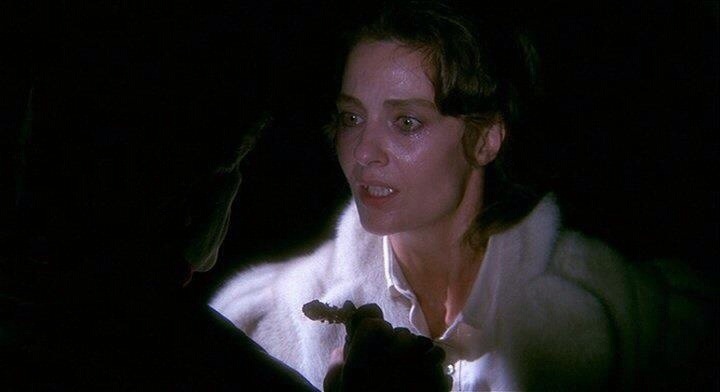 Despite the flaws, Fulci though does deliver some decent suspense in spots and like I said the identity of the killer shouldn’t come as a shocker, but it was also a decent mystery. 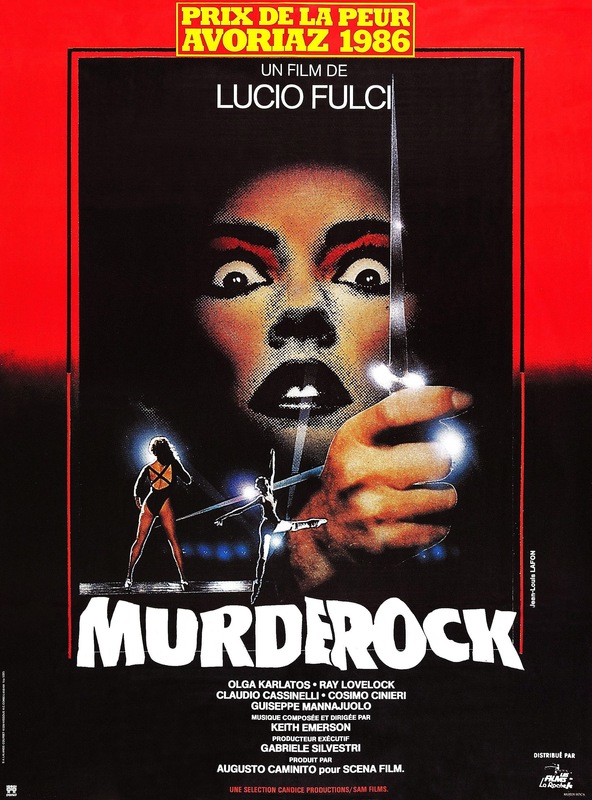 Murder Rock isn’t gonna be listed as one of Lucio Fulci’s best efforts, but despite some sluggish pacing it does make for a decent viewing. Murder Rock has gotten some mixed reviews and I really can’t defend the film from any negative reviews, but at the end of the day this really wasn’t such a bad film it just like I stated lacks energy at times and even the cast seems to be going through the motions as well. While my review isn’t exactly glowing I think Fulci fans can still get some enjoyment out of this, it won’t make your top 5 films by Lucio Fulci, but if you can get past the lack of gore you might find the film to be a nice time killer.